Well, I recently had another one of those sudden impulses that fuel maybe half of my purchases. 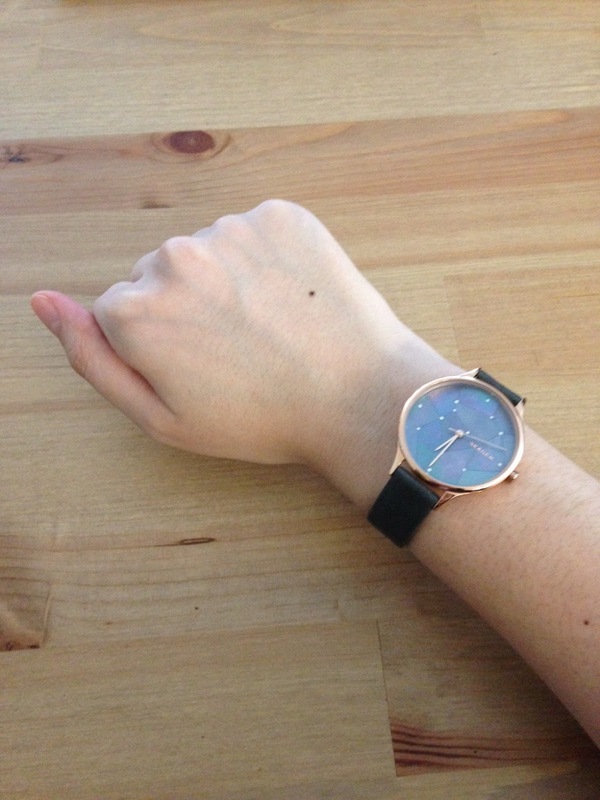 This time, it was for a watch, and I ended up picking out this Skagen Anita (non-affiliate link, on sale) with a mother of pearl and crystal face. I certainly didn't need it. 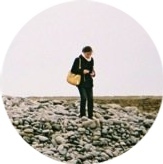 That Skagen Freja I bought last year is still in perfect condition and as versatile as ever. Even so, I thought it reasonable to want to mix things up by adding another more substantial watch to my wardrobe. My "personal style" for jewelry has changed substantially in the last year. As recently as last March, I wore statement necklaces to my internships almost every day of the week. Nowadays, I mainly stick to one barely-there bezel-set pendant (similar fashion jewelry, similar fine jewelry), that Skagen Freja, and the same pearl stud earrings (actual, similar price and specifications). Unexpectedly, this decisive shift towards preferring subtler jewelry was still accompanied by this recent impulse to find a larger watch, maybe one with a more unisex design. Now that all the jewelry I regularly wear is extremely dainty, why not contrast that with at least one substantial and more noticeable accessory?Also, one of my colleagues, who has excellent taste, rocks one of those unisex Shinola watches, so I got some inspiration there. I went in a different direction, though, and my pick has overtly feminine details: the thin 14mm band, the rose gold tone metal, and a constellation-like design on the face with mother of pearl chips and tiny crystals. I had to really think about what size watch I wanted: I wanted something larger than the Freja, but I often don't like the look of very large watch faces. When I compare the 40 mm Skagen Holst (actual colorway) that I purchased for K's Christmas present on my wrist, I find it awkwardly large, which suggested that some of the larger bracelet watches that were recently popular (i.e. from MICHAEL Michael Kors) would be wrong for me. 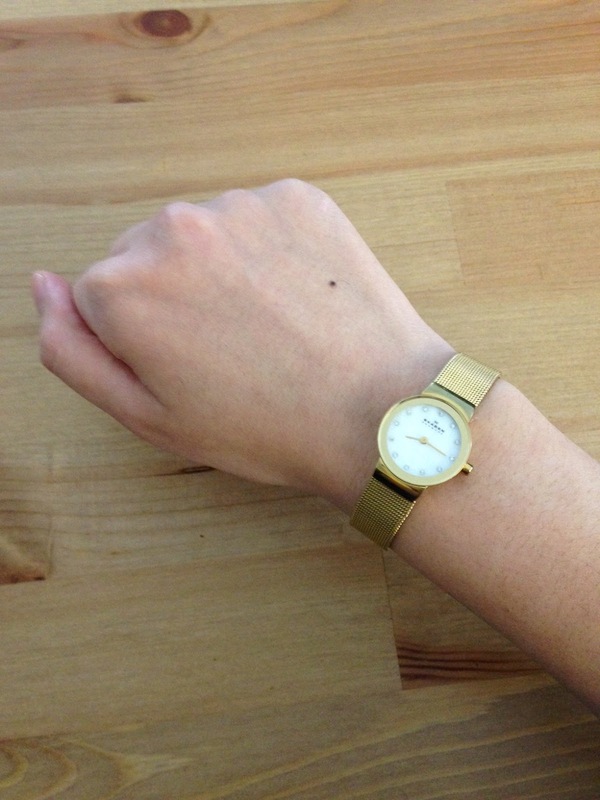 I don't think it's the size of my wrist so much as it is my own idiosyncratic opinion: Many women that are more petite than me look very nice in large watches, i.e. Extra Petite (wearing 38 mm). 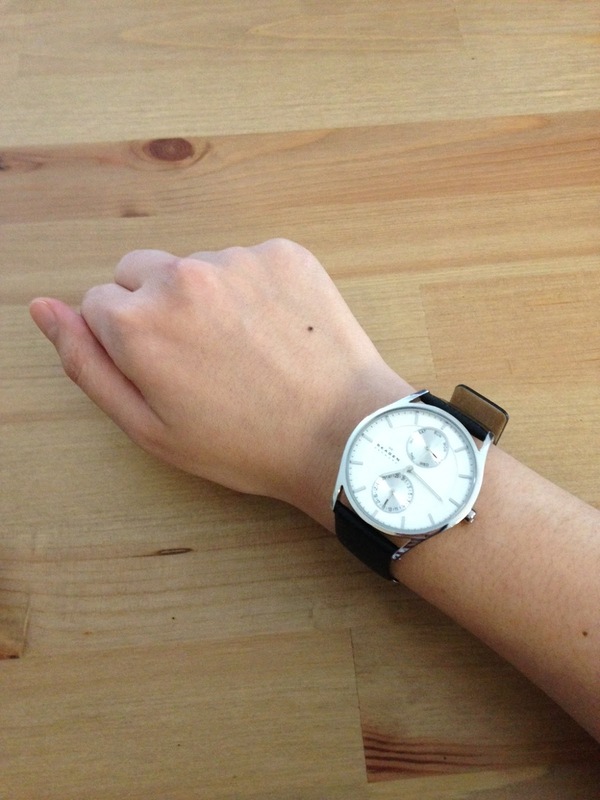 The 34 mm face of my new Skagen Anita feels like just the right size, compare it to the 26 mm Freja above. Of course, I don't plan to retire my old watch anytime soon: if I have an occasion that demands business formal, the Freja would fit the outfit better. 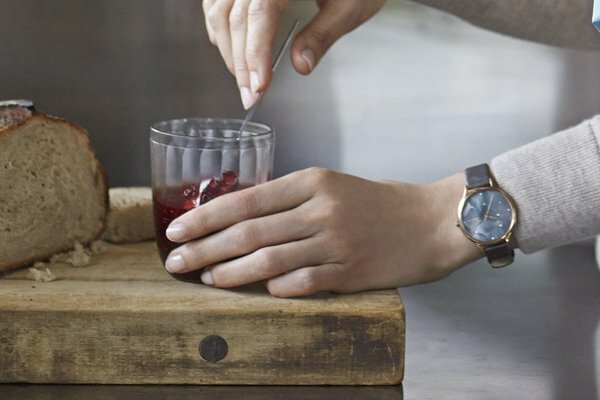 Also, I actually find that I like the smaller watch with my casual outfits, even if my recent "must find larger watch" impulse led to my thinking the Freja was a bit boring when paired with my usual business casual.